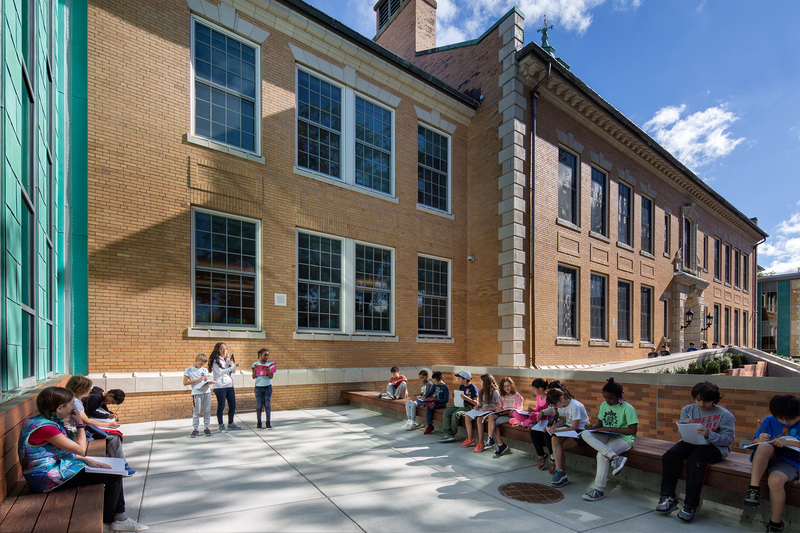 This month’s project spotlight on Coolidge Corner School was written by Cathy Offenberg, Principal-in-Charge of the CRJA-IBI Group design team. 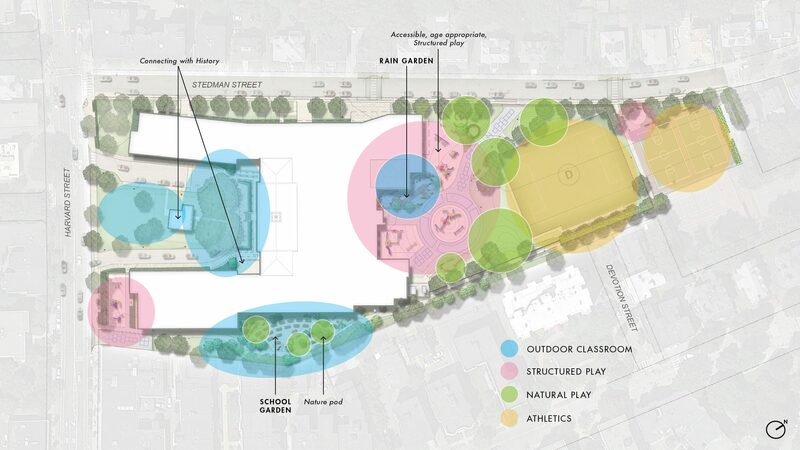 Blurring boundaries between play and learning, the site design for the Coolidge Corner School strives to elevate the “schoolyard” to be an integral part of the school’s learning environment, providing a diverse open space program that complements the academic curriculum, while promoting activities that are inclusive and beneficial for all abilities. 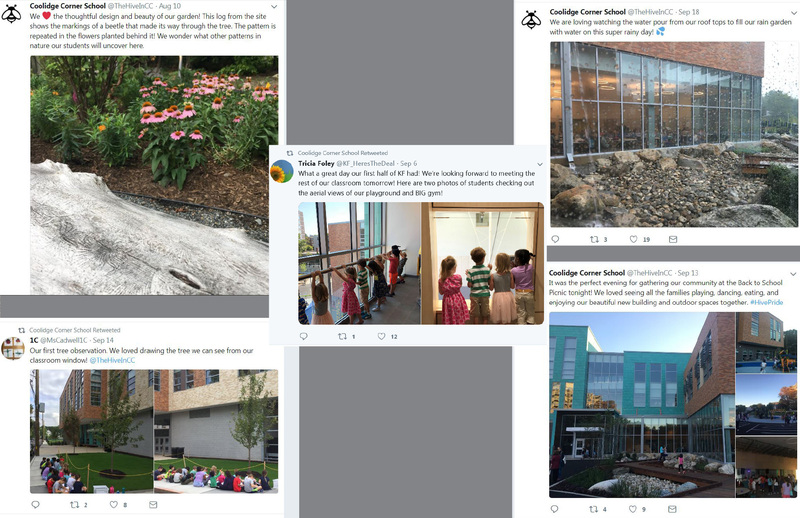 The site was designed to encourage the “Four Cs,” identified as critical skills for the 21st century by the National Education Association: Critical Thinking, Creativity, Communication and Collaboration. 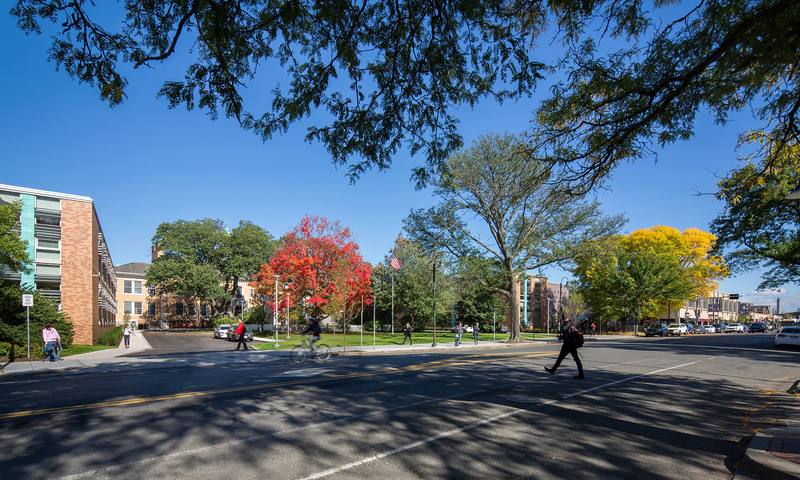 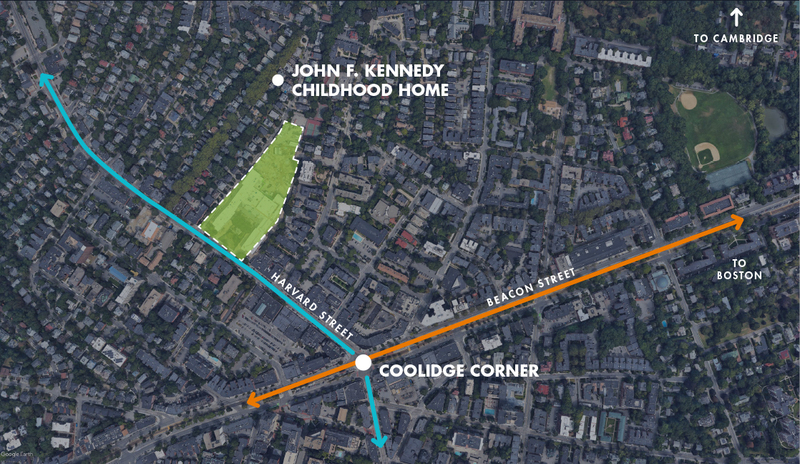 Located in Brookline’s vibrant Coolidge Corner neighborhood, the school is the town’s largest Pre-K-8 public school, with a population approaching 1,000 students. 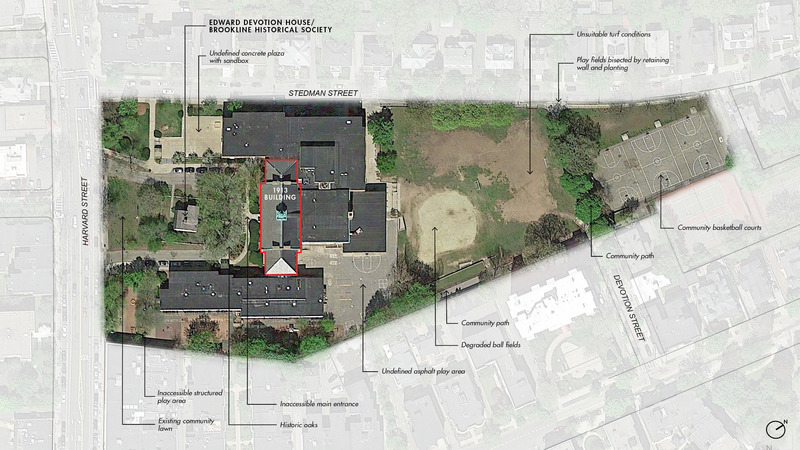 It has historical significance as the public school that President John F. Kennedy attended. 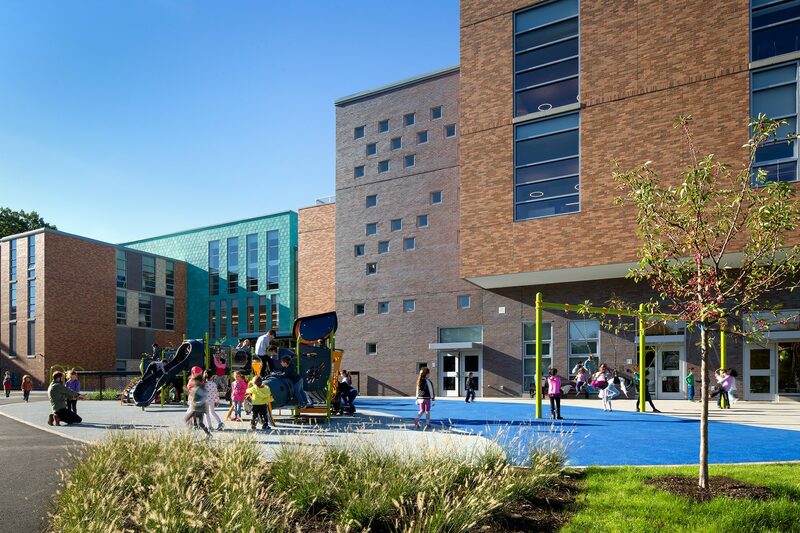 The site design, supporting a major renovation and new construction of the school building complex, is a confluence of school culture, community goals and design philosophy. 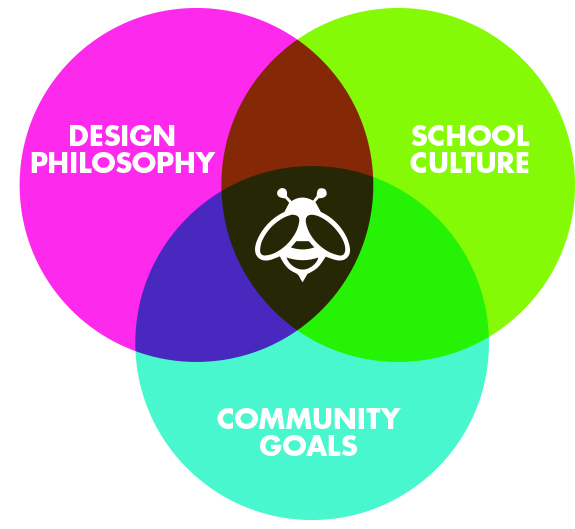 Part of the school vision is to promote taking risks as learners, in an environment where everyone feels physically, emotionally and intellectually safe. 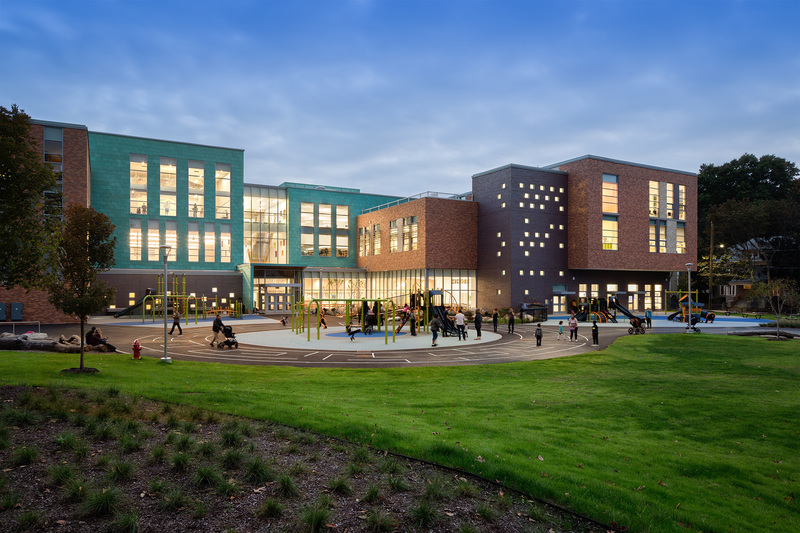 The design process was collaborative, involving several meetings with multiple committees, the general school community and others, building consensus among stakeholders while adhering to the schedule and budget approved by the town and the Massachusetts School Building Authority. 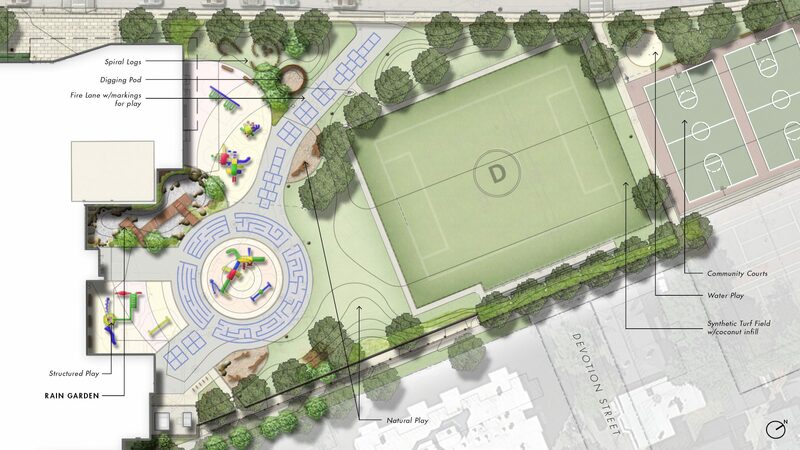 The existing site comprised a sea of under-utilized, undefined pavement, a poorly draining playfield and inaccessible play areas. 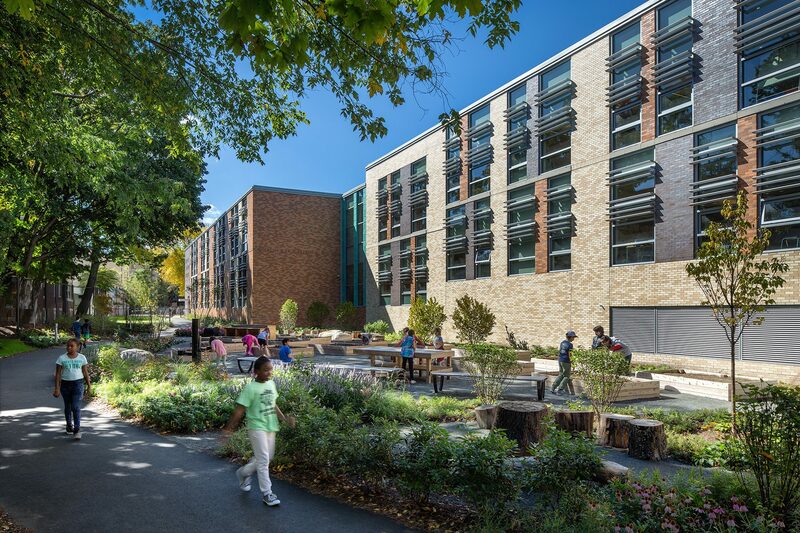 The challenge lay in transforming this disorganized, uninspiring, inaccessible site into a campus that supports inclusive, collaborative and experiential learning, while accommodating a substantial increase in the building footprint. 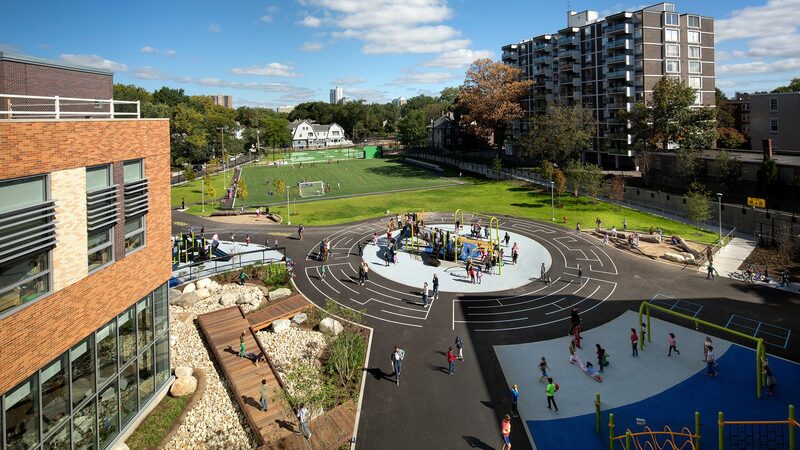 Recognizing that play is not the same for every child, the CRJA-IBI Group design team developed a program to expand the range of outdoor activities and experiences, incorporating a spectrum from active athletic facilities to quiet exploration and immersion in nature, for large and small groups, and individuals. 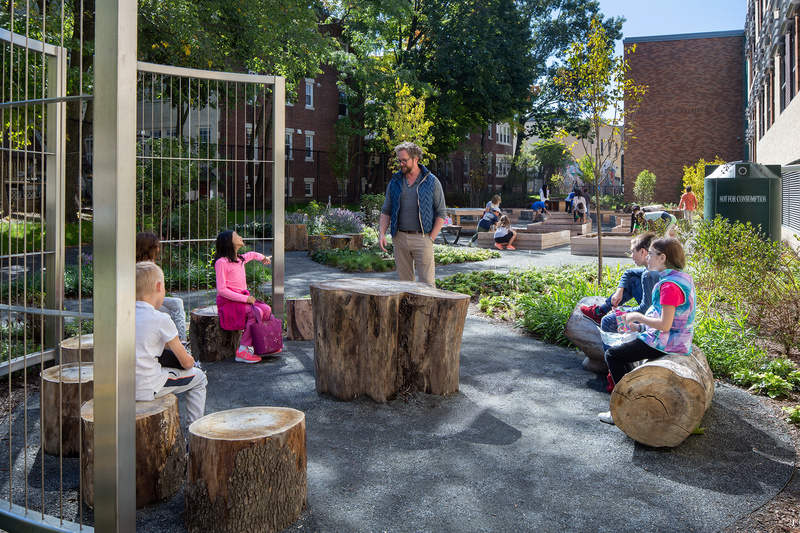 To help teachers and caregivers keep a better eye on the children, the main outdoor program is consolidated to the north of the school, where age-appropriate structured play is integrated with areas designed for free play and engaging nature – areas where children can create their own games with undulating topography, dig in the soil, examine patterns in fallen logs and study natural systems within a rain garden. 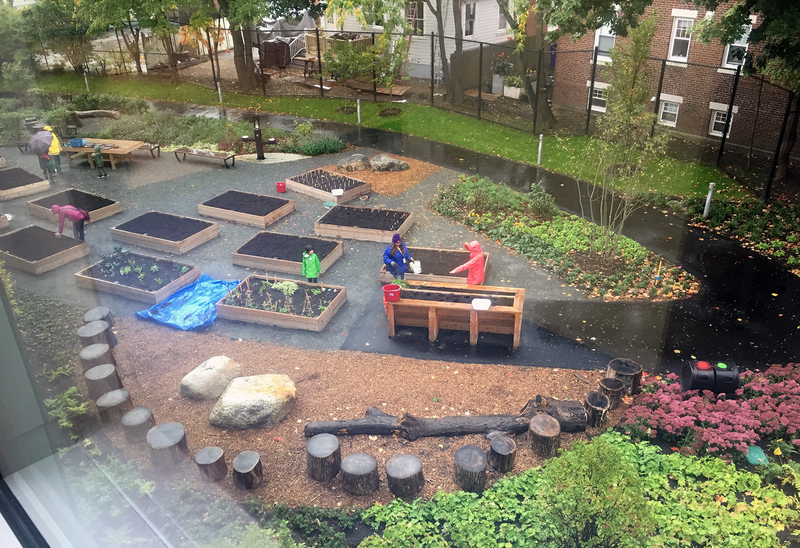 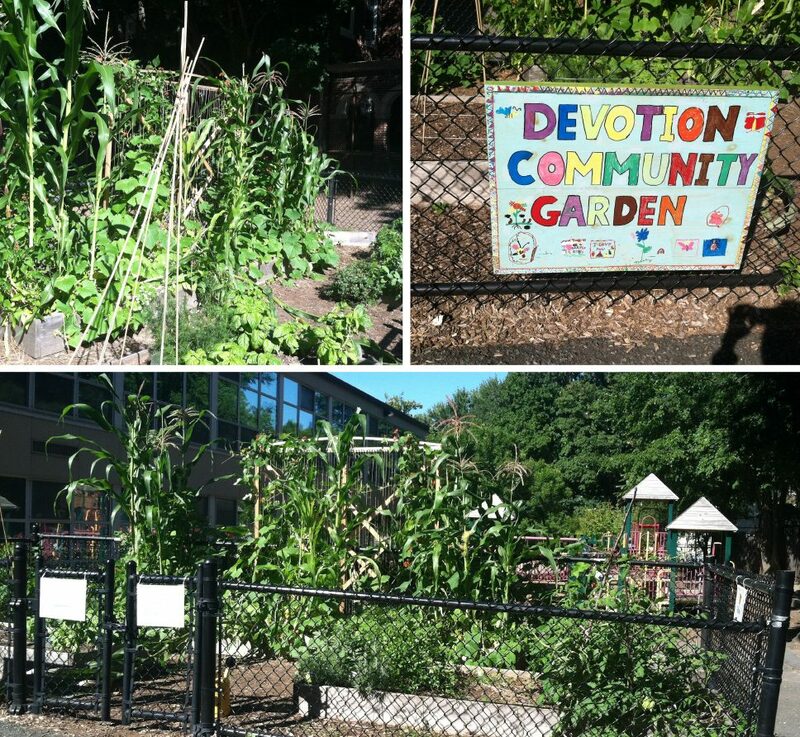 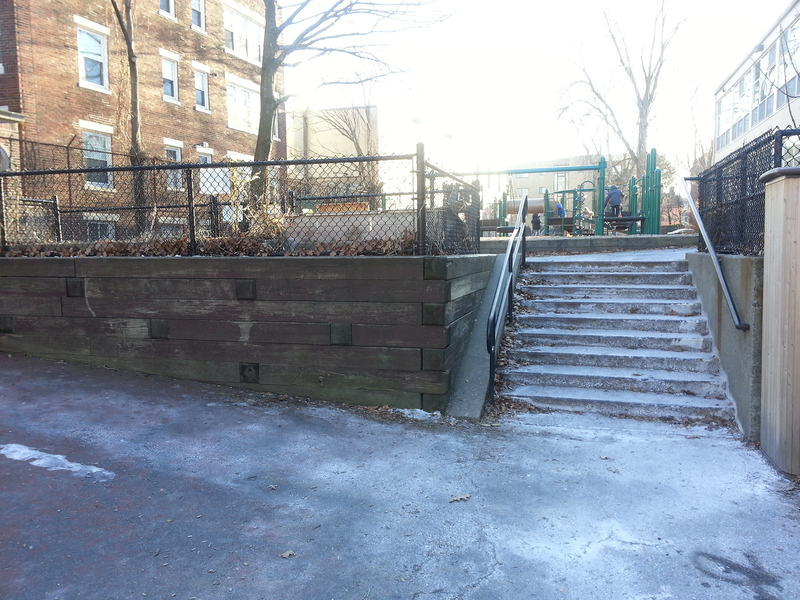 The site’s east side, originally a vertically separated play area, with a small but beloved teaching garden, is re-graded and re-dedicated to an expanded school garden, providing a more respectful adjacent use for neighbors and another outdoor laboratory for the school. 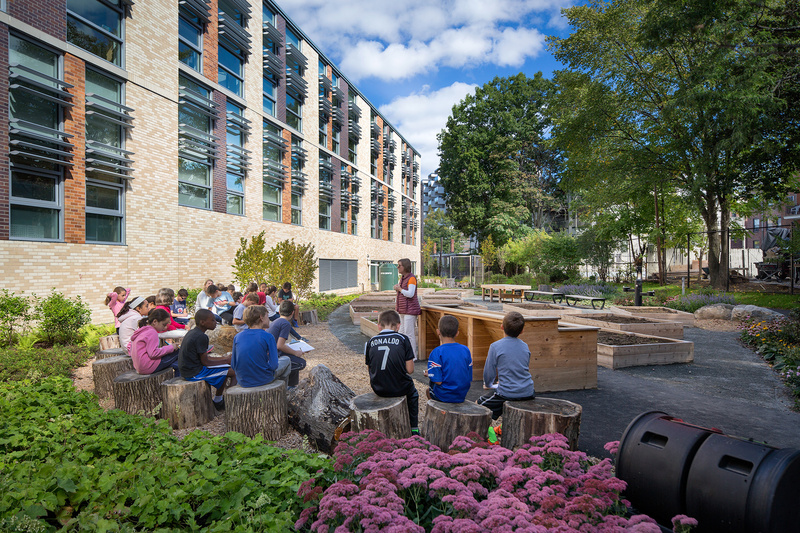 The garden, composed of raised planter boxes arrayed in a pollinator-friendly garden setting, is designed to accommodate group study with smaller “pods” for immersion in nature – a place to draw, record observations, write a poem! 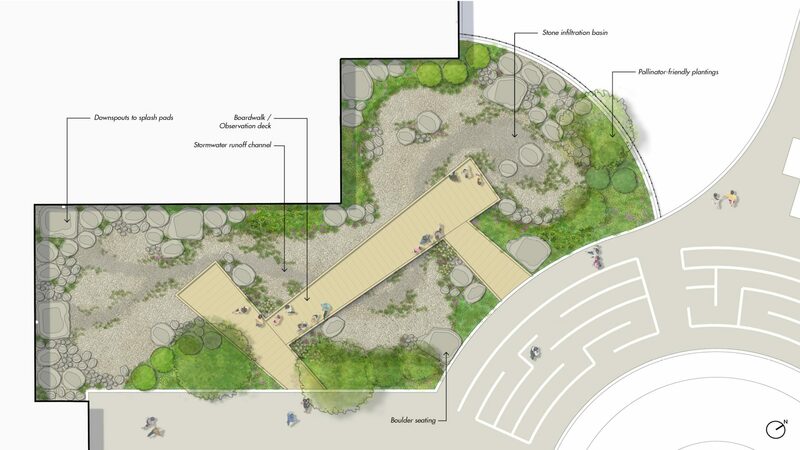 Paths linking these nodes encourage exploration. 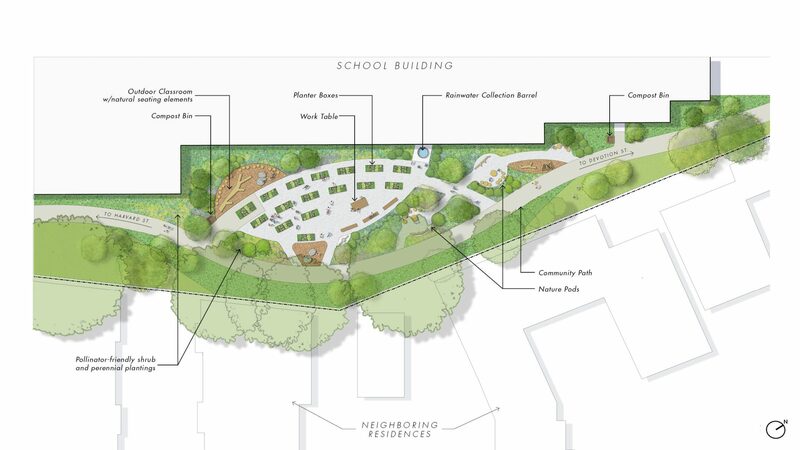 The campus was also conceived as an arboretum with a total of 27 tree species, along with a diversity of other native and drought-tolerant plants, selected to attract pollinators, and to act as larval hosts. 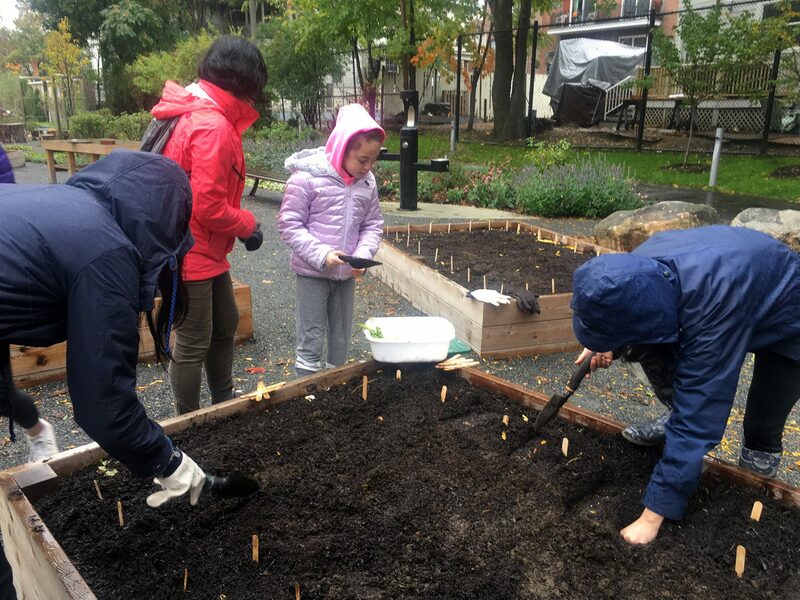 The community recently conducted a “scavenger hunt,” identifying pollinator-friendly plants on campus based upon the plant list. 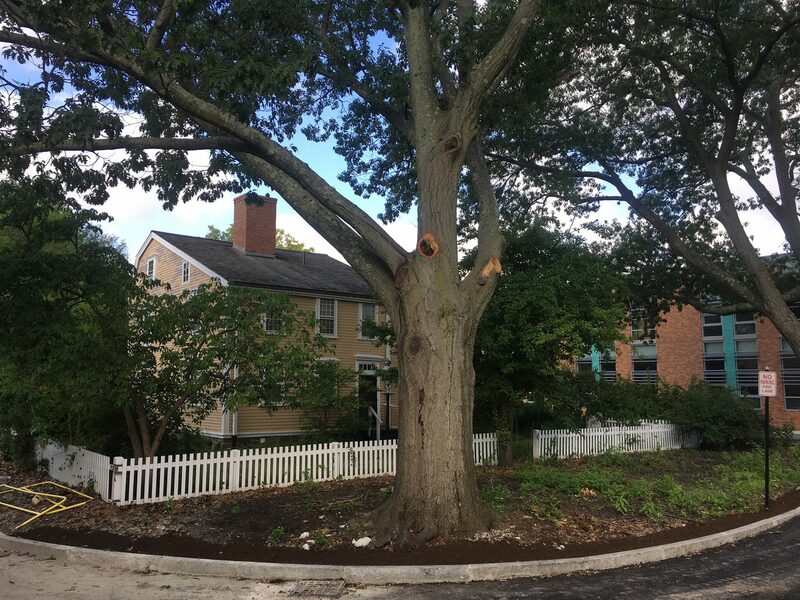 Facing Harvard Street, two outdoor classrooms are located with views and connections to the Edward Devotion House, one of the town’s oldest colonial structures, and home to the Brookline Historical Society. 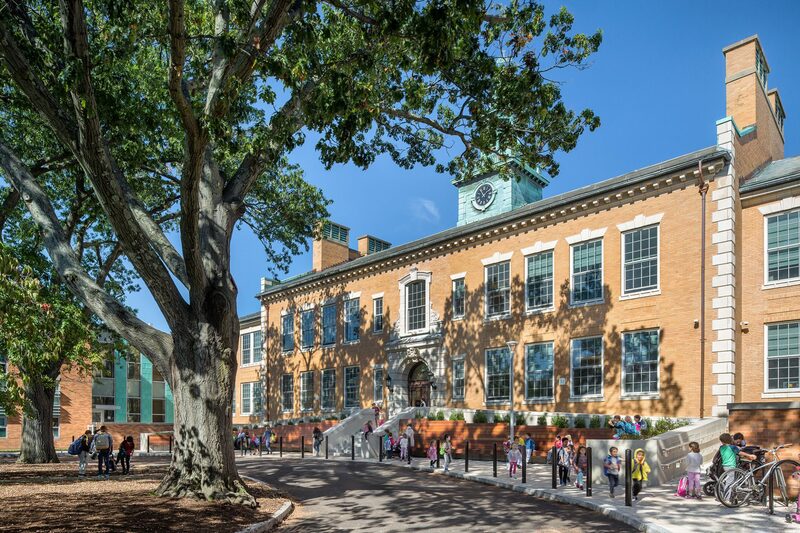 Under the shade of historic oak trees, these terraces provide opportunities to engage history in the presence of primary source material and to confront a legacy of slavery. 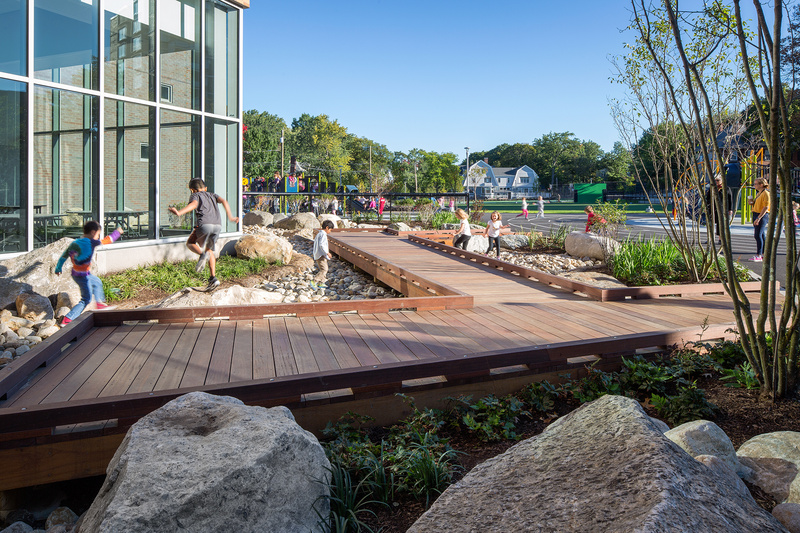 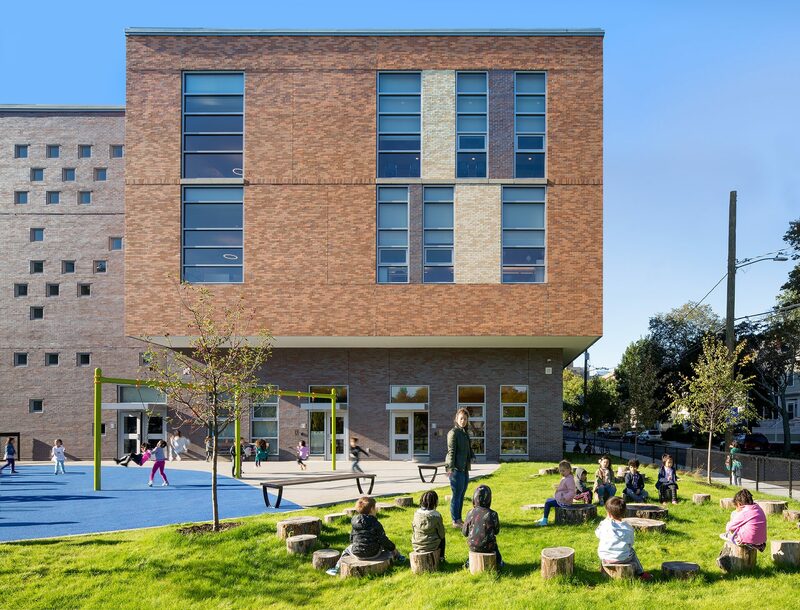 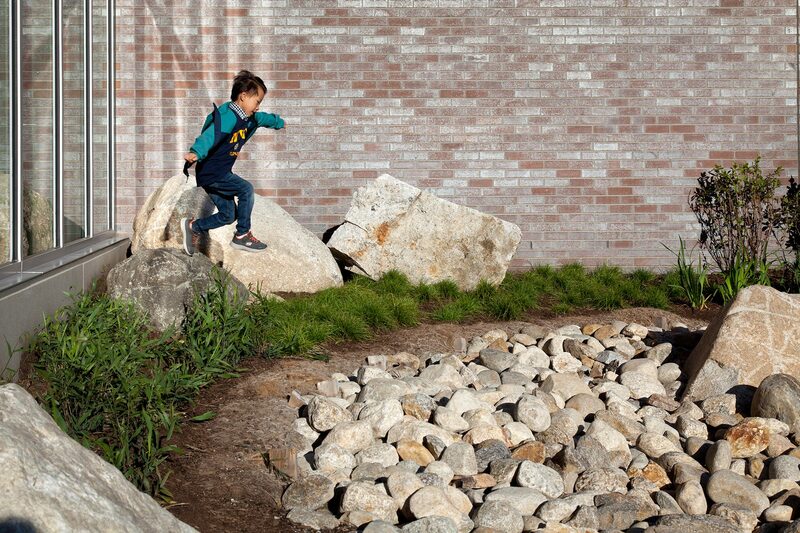 The site design for the Coolidge Corner School was inspired by the community’s vision for the schoolyard to reflect school values, incorporate its inclusive culture and enhance the overall learning experience. 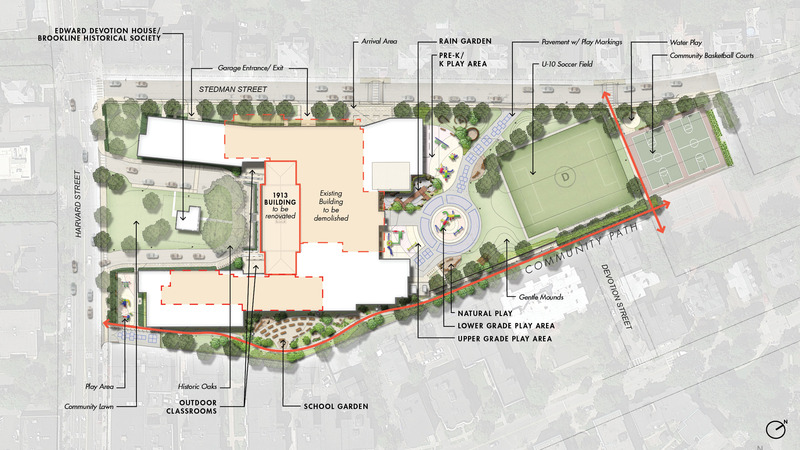 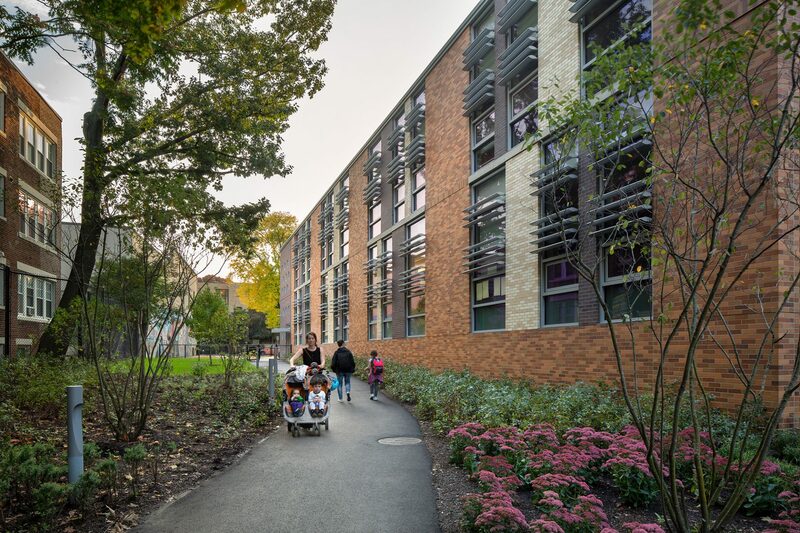 Community Path: The site design accommodates existing circulation patterns through the school campus, supporting neighborhood walkability and inviting community use of the diverse site amenities. 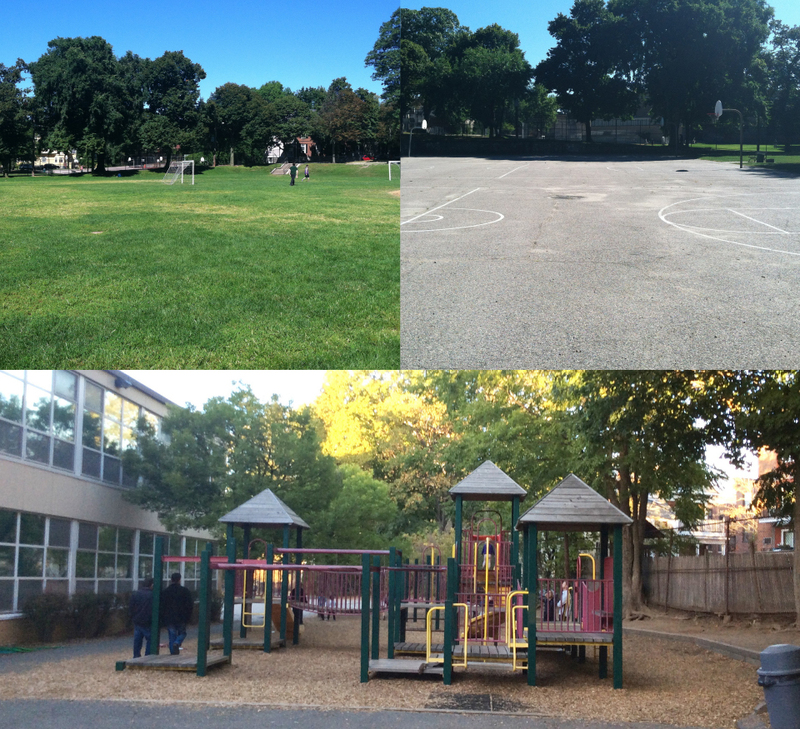 Evening Community Destination: All outdoor school facilities are available for use by the community when the school is not in session.